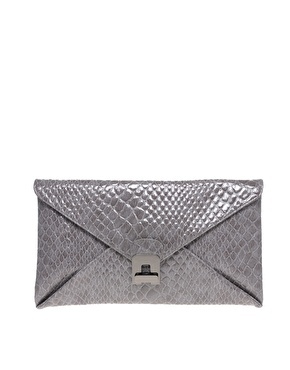 Clutches have been everywhere as of late! In all the street style photos from NYFW and beyond (Exhibits: A, B, C, D) - I have a cheap-y that I absolutely love!!! (It has a hidden chain - perfect for nights out to throw it over your shoulder while you shimmy on the dance floor! Seen here)...but now I am thinking I need at least one more ....for umm, those umm, because umm.....sheesh I just NEED ONE alright!!!! I am loving the grays of these few....really wanting a over-size python-y leathery goodness one! They color is the only part I have yet to determine! I have always been a huge fan of clutches. In fact I think i need another one too!! I love one and two. Probably two more. I am obsessed with patent leather because I can take it anywhere and not worry about it getting dirty/damaged by water/etc. 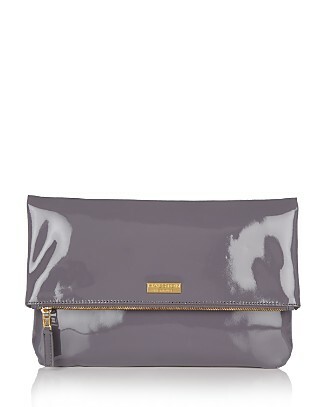 That Halston clutch is so gorgeous! Perfect shape and color and texture!!! love it. I love clutches but I'm such a packrat, I can never fit everything in them! 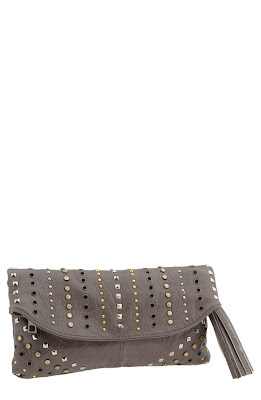 super cute finds - i buy clutches - but rarley ever use them - i thinm it's just the 'trouble' of changing bags .. I ordered a grey feather clutch from Asos last week. I can't wait to get it! Ummm love them ALL! I totally got your back if you decide to get more than one! LOVE that second one...is it MBMJ?! I totally went for the halston one first and then clicked on the asos one and loved the price. I might be ordering that one. I kind of also want a grey oversized bag for the fall. Great selections. Which one are you getting??? oooohhhhh that middle one from bloomies is just fab!! Yes, I love clutches right now. I just got a leopard print Lauren Merkin clutch and I am in love! The Halston Heritage one is adorable!! I'm a big fan of that first one!